There are some dressings out there that completely make or break the salad. 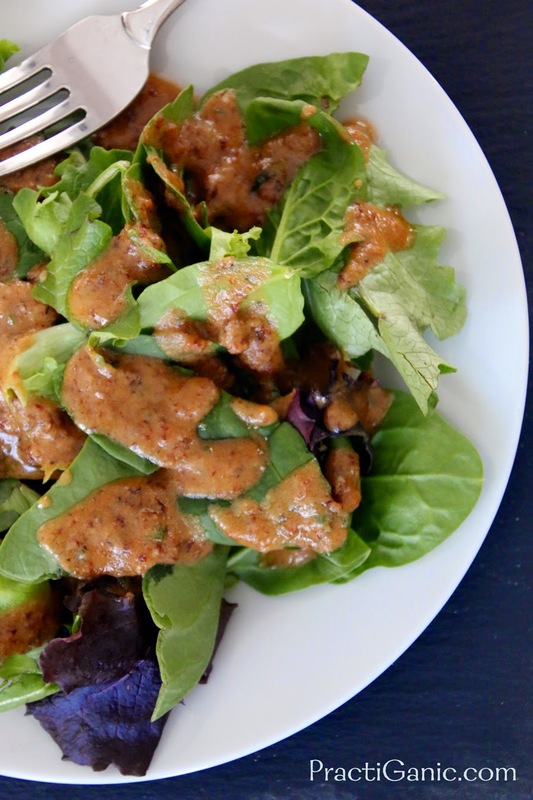 This Sun-Dried Tomato Tahini Dressing is that dressing for me. Usually, I need lots of toppings on my salads, yummy cheeses and a great dressing to make me want to eat it, but this dressing is the opposite. I can have it on a bed of greens ... any greens, and I am a happy camper! A few years back, we were at Paul's Aunt's house for dinner. She served a salad with Annie's Woodstock dressing. After I downed my salad and wiped my bread in whatever dressing remained on the plate, I had to ask what dressing it was. I have never forgotten that dressing, but yet it took a while to actually make it (I vowed not to buy dressings a while back ... everything's better homemade). Once I finally got the taste to my liking, this is one of those dressings that is now a staple in our refrigerator. The best thing about this dressing is it's more than just a dressing. 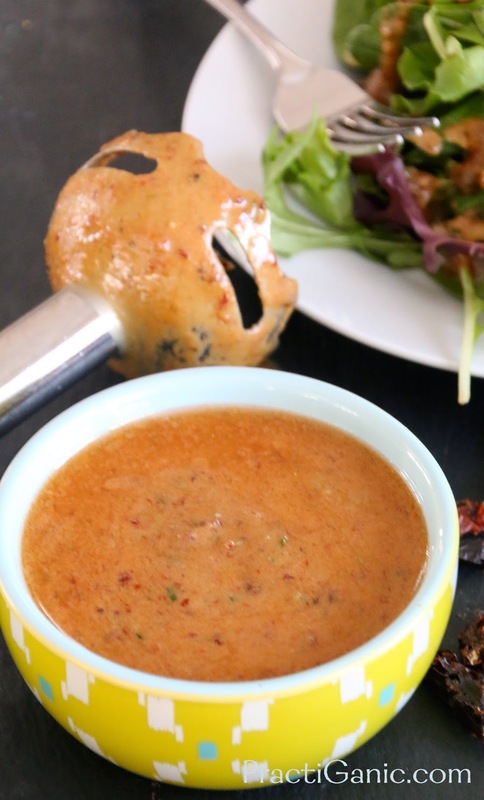 The tahini makes it nice and thick so you can use it as a sauce, spread or dip too. I spread it on my wraps, dip my carrots in it. The sweetness of the tomatoes and the tart lemon and vinegar and the nutty tahini makes it the perfect everything! Mix all ingredients with a high speed blender or hand mixer. Keep refrigerated.